Evil isn't always learned...sometimes it's IN OUR BLOOD. The most horrific case of Jake Hawksworth's career has haunted him for decades. Now it's back...with a vengeance. Evil isn't always learned... sometimes it's IN OUR BLOOD. Nearly thirty years ago, Detective Jake Hawksworth and best-selling author Drew McCauley were brought together by a horrific crime. Jake, still reeling from the unsolved hit-and-run death of his wife, and Drew will be reunited once again when a crime from Drew's novel-in-the-making becomes a devastating reality. Is the kidnapping of Drew's son somehow linked to the murder Jake is investigating? Was Jake's wife's death really an accident? And could the person who has haunted both men for decades be responsible for these seemingly unrelated events? 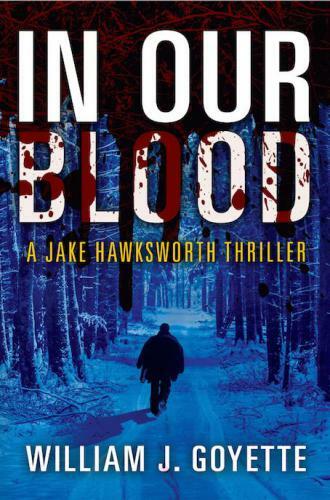 As Jake races to protect Drew's family, they find themselves on a collision course with fate - derailed by a series of breakneck twists and turns that culminates at an isolated, snow-ravaged house. It is here that long-buried secrets are unearthed and Jake realizes, to his horror, that his hunches are not always right. That the keys to solving his wife's death and a heinous, decades-old crime have been under his nose all along.